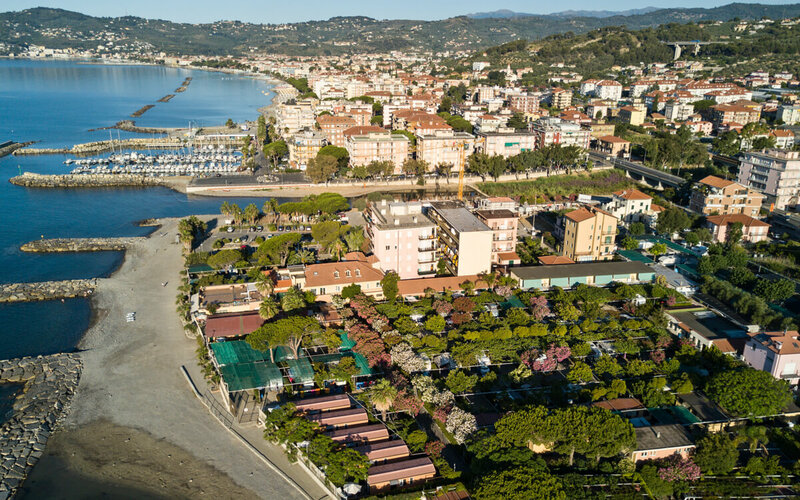 CAMPING DEL MARE IS LOCATED AT THE FOOT OF THE PICTURESQUE, MEDIEVAL VILLAGE OF CERVO. THE CAMPSITE WAS FOUNDED BY MARIO VALLE AND THEN RUN BY HIS SON FRANCO WITH HIS WIFE LIANE. NOW THEIR DAUGHTERS CRISTINA AND PATRIZIA FOLLOW IN THEIR FOOTSTEPS IN RUNNING THE CAMPSITE. ITS GATES ALLOW DIRECT ACCES TO THE BEACH. IT IS THE IDEAL DESTINATION FOR HOLIDAYMAKERS LOOKING FOR A RESTFUL HOLIDAY IN A FAMILIAR ENVIRONMENT WITH EVERY COMFORT.